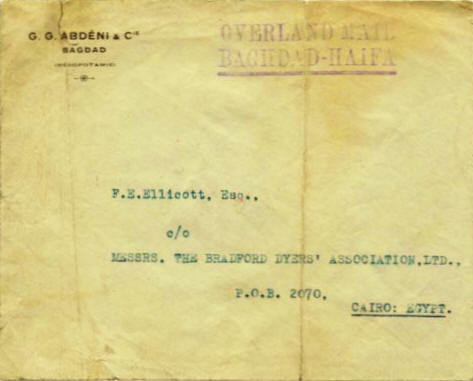 In my archive i have several paper clippings or images of items offered in the past either at conventional auctions, online auctions or items shown long time ago in philatelic publications. 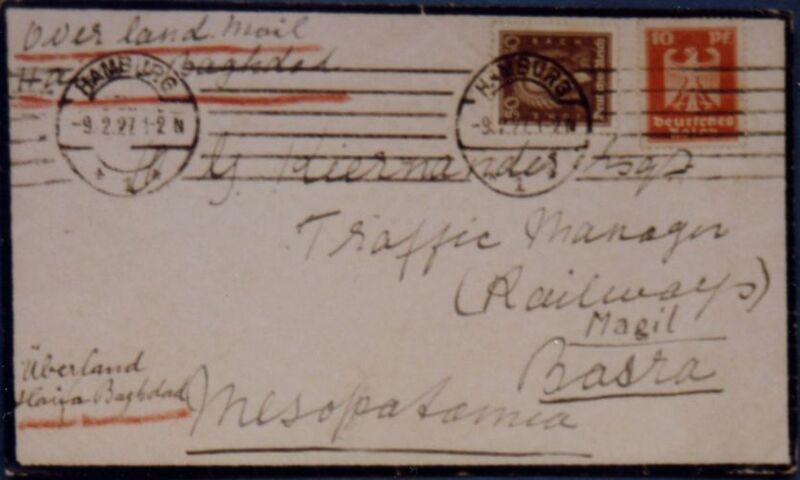 For philatelic studies it would be helpful to have high quality images s it would be necessary to know the whereabouts / current owner of these items. If you have any information, just send me an Email. I like to start here...,lets see how successful my search will be, newly added items are on TOP of the table. 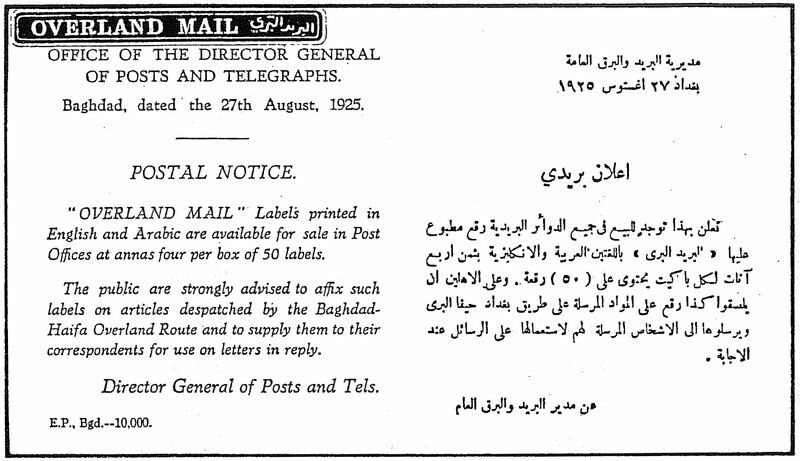 The shown Iraqi Postal Notice dated 27th August 1925 informing the public about Overland Mail Labels was offered and sold a few years ago on ebay and a similar one much earlier as i have been informed by Stanley Gibbons. 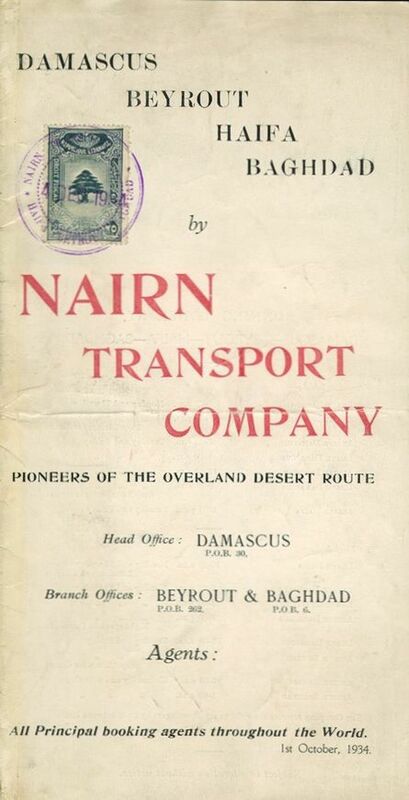 Nairn Pamphlet with Lebanese Revenue stamp, dated 1934. 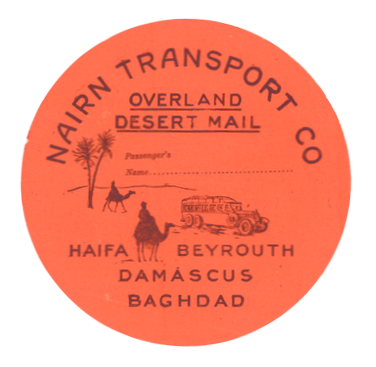 Overland Mail Cover from Baghdad to Cairo, Egypt. 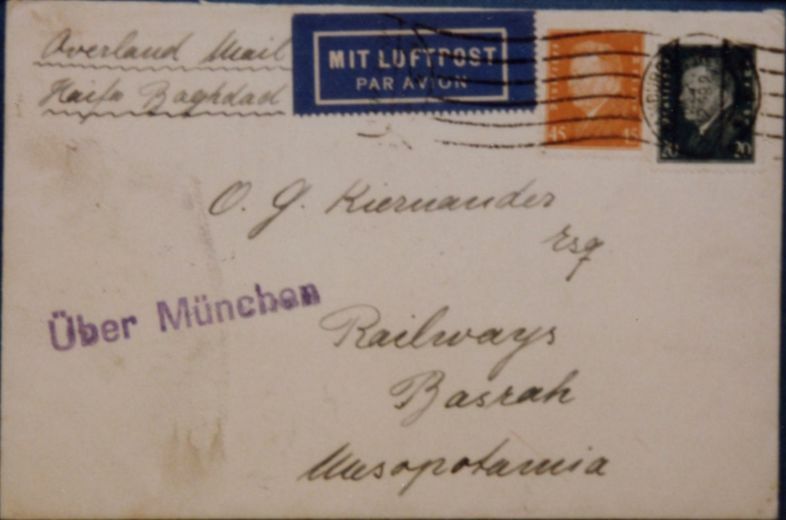 Sold on ebay on 28 August 2011, item No. 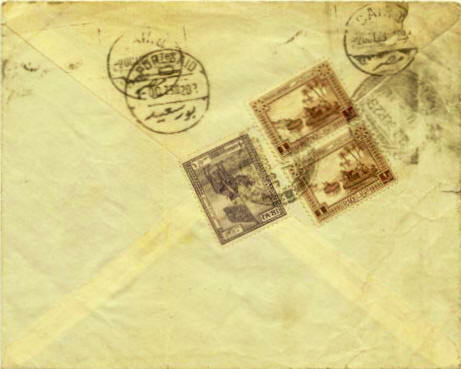 280727434761, seller "mdp947". 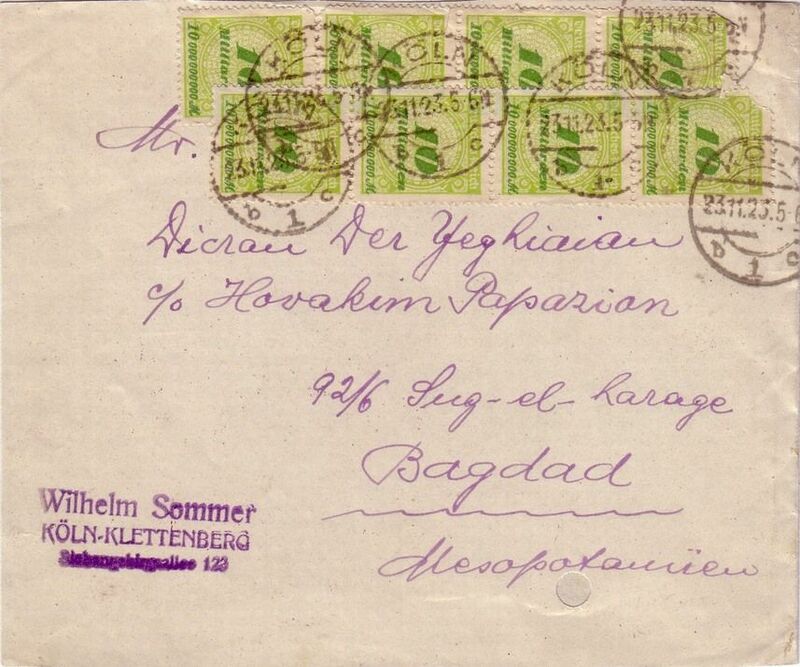 Who knows the current / previous owner. Owner of the covers is now known to me.